2009 Chevrolet Corvette Z06 3LZ w/Novi Paxton Supercharger JetStream Blue Metallic Tintcoat Exterior over Ebony Leather Interior *Pristine Condition! SUPERCHARGED! * *100% LOADED/3LZ PACKAGE WITH FACTORY NAVIGATION! *604 RWHP & 609 TORQUE! 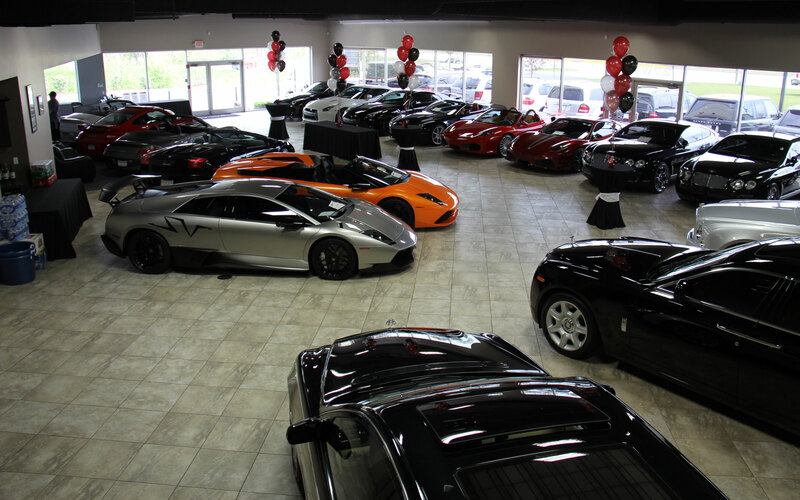 *Please Call Geoff @ 610.360.1294 or Email: Geoff@Chicagomotorcars.com with any Questions! FACTORY CHEVROLET OPTIONS INCLUDE: 3LZ Preferred Equipment Package (Originally $6,515) Heated Seats Power Driver's Seat with Memory Telescoping Sport Steering Wheel BOSE Sound System Side Airbags Auto-Dimming Rearview Mirror with Compass Homelink Universal Garage Door Opener Full Custom Leather Dash/Interior with Deviating Stitching Touch-Screen DVD Navigation System (Originally $1,750) Chrome Aluminum Wheels (Originally $1,995) (Now Gloss Black Finish) JetStream Blue Metallic Tincoat Paint (Originally $750) ADDITIONAL AFTERMARKET ACCESSORIES INCLUDE: NOVI PAXTON 1500SL Supercharger Kit Serial#82680 KOOKS 1-7/8 Headers X-Pipe with High Flow Cats Borla Exhaust System (Black Tips) ECS Polished Upper Shroud ECS Polsihed Side Mounts ZR1 Carbon Fiber Front Splitter(Original Comes With Car-Painted JSB) ZR1 Carbon Fiber Side Skirts Original Z06 Wheels Finished In Gloss Black All Badging Tinted Tinted Glass Tinted Tailights ProSport Boost Gauge (Blue) ProSport Air Fuel Gauge (Blue) All Interior & Exterior Lighting Is Now LED Lighting JSB Valve Covers Shift Indicator Light (Mounted on A Pillar) Rear Diffuser Over Exhaust is Painted JSB Rear & Front Wheel Wells Painted JSB Rear Spoiler Painted JSB *All Performance Work Has Been Professionally Completed By EAST COAST SUPERCHARGING! www. eastcoastsuper charging.com *Dyno Proven 604RWHP & 609 Torque! VEHICLE HIGHLIGHTS: 7.0 Liter 8 Cylinder Engine -505 Horsepower (Factory) -470 lb/ft of Torque (Factory) 6 Speed Manual Transmission Dual-Mode Active Exhaust System 18 Front and 19 Rear Aluminum Wheels Rear Wheel Drive Leather Interior Heated Seats Navigation System Keyless Entry and Ignition System Dual-Zone Automatic Climate Control Universal Garage Opener VEHICLE HISTORY: Runs and Drives As New! Absolutely Excellent Throughout! INCLUDES: **Original Owner's Manuals** **Two Keys with Master Remotes** **Floor Mats** **All Receipts, Dynos & Records** *Please Call Geoff @ 610.360.1294 or Email: Geoff@Chicagomotorcars.com with any Questions!